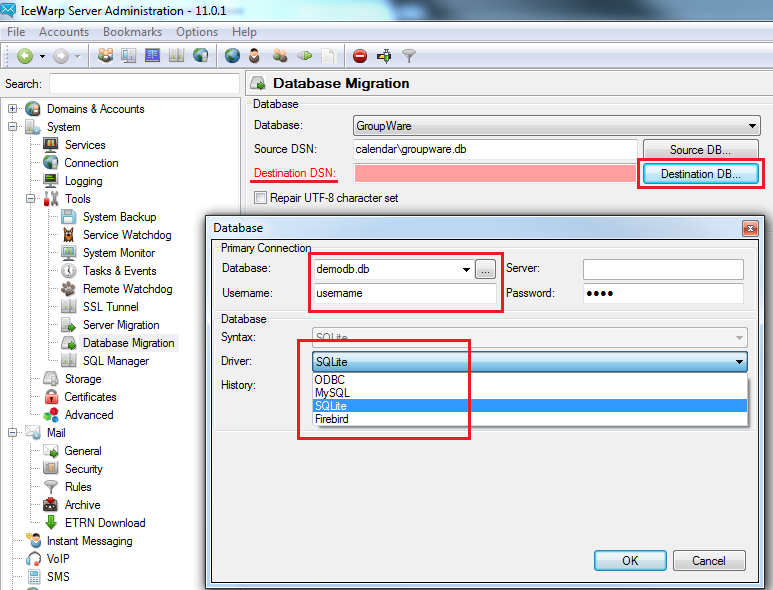 To transfer data from your current database to a new database, you simply need to follow the steps below. 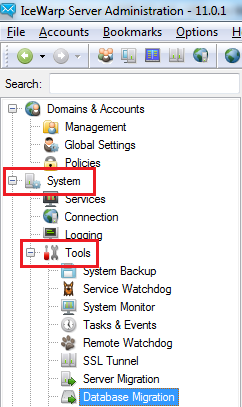 Check if your current database is selected and press Test connection if test is successful press OK on both windows and continue to next step, if not check if driver, syntax, server, username or password is set correctly. Confirmation dialogue will appear press Yes to continue the migration. 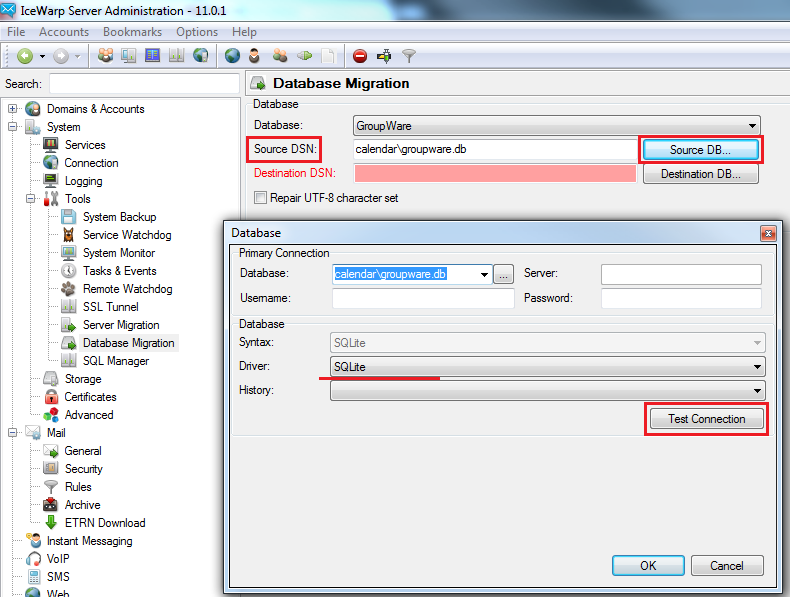 Migration process is copying data from old to new database, data in source database remain untouched, but columns in target database will be removed, when you specified non-existing database it will just create new tables in target database. 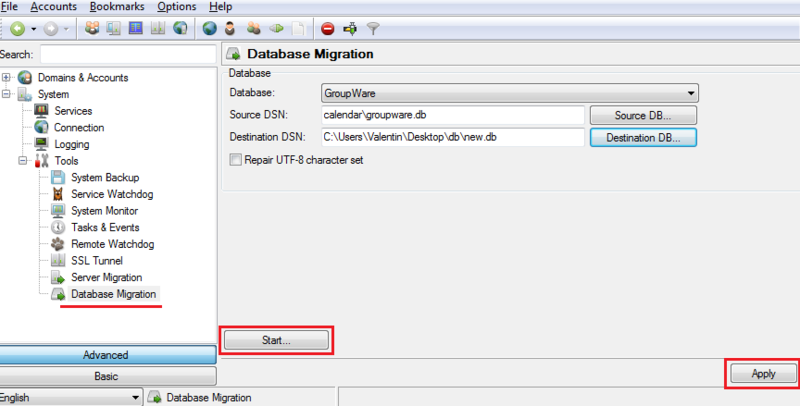 During migration process is displayed progress bar for each item in database at the end of migration will appear log and dialogue "Do you want to switch to the destination database now?". Press Yes if you want to connect new database. Create a new ODBC DSN that points to the new blank database. 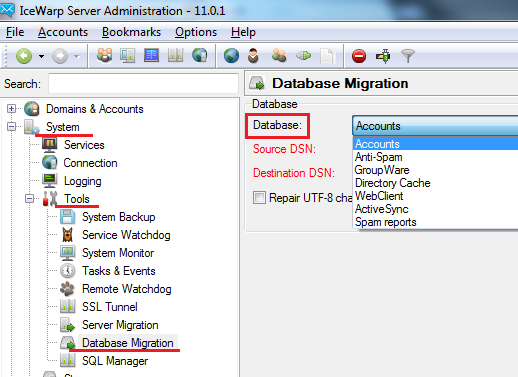 In the Destination DSN section place the ODBC DSN of the database you created. When you migrated Restart Icewarp's Services and then check make sure that all the accounts exist and do a test to make sure they can log in, create event, create contact add address to black/whitelist.